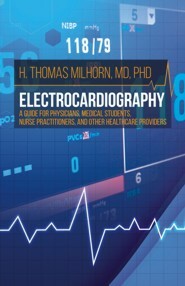 H. Thomas Milhorn, MD, PhD is the author of 12 books, 12 chapters in books, and over 150 research and medical education publications. In 1992 he retired from the University of Mississippi School of Medicine with the ranks of Professor of Family Medicine, Professor of Physiology and Biophysics, and Associate Professor of Psychiatry and Human Behavior. Moving to Meridian, Mississippi he practiced family and addiction medicine full time for nine years. He currently is on the faculty of East Central Healthnet Family Medicine Residency Program where he teaches an electrocardiography course.